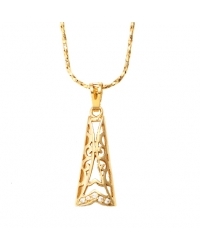 Certain pieces of jewelry are appropriate for young girls and some well..not so much. 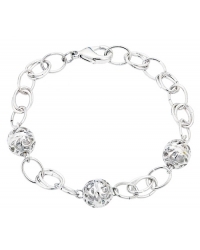 Here you will find jewelry pieces from our existing collections all plated in genuine 18K gold and rhodium and all appropriate for our little princesses. 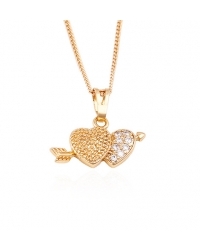 So you can treat them too. 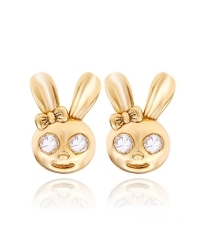 These bunny rabbit earrings are simply adorable ! 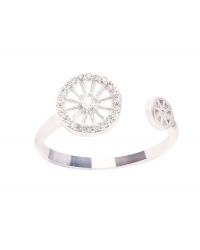 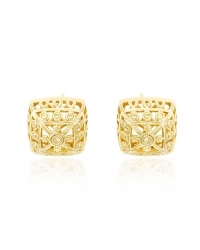 Plated in genuine 14K gold, they are perfect for our little princesses. 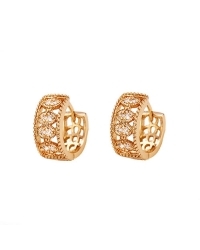 These gorgeous 18K gold plated hoop earrings featuring fine details and simulated diamonds sparkle loud and clear. 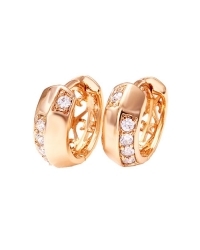 With the equivalent of approximately 1 carat of simulated diamonds and the warmth of 18K gold plating, these hoops are the perfect accessory to some stunning style. 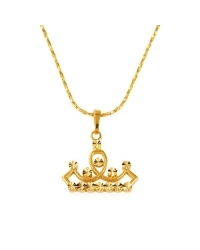 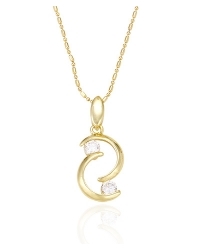 This crown pendant plated in 18K gold is delicately crafted and offers the gorgeous look of solid gold. 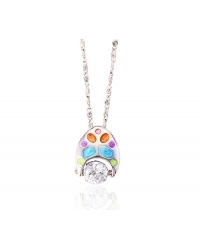 Plus, like all our pendants, it comes with its matching necklace. 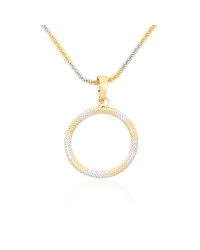 Gold bangle bracelets are seen on the wrists of women everywhere. 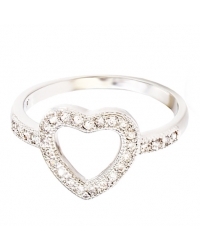 But what about children and young girls ? 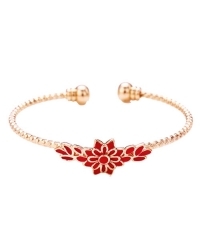 This lovely design with vibrant red enamel details is made especially for our little girls. 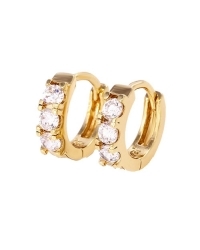 These gorgeous 14K gold plated hoop earrings featuring simulated diamonds might be small but they sparkle loud and clear. 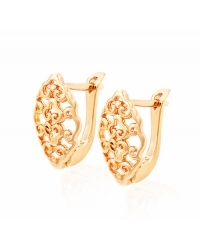 These gorgeous 18K gold plated hoop earrings might be small yet they sparkle loud and clear. 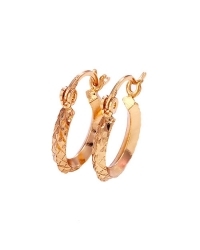 These rose gold plated two tone hoop earrings are stunning and refreshing in their design. 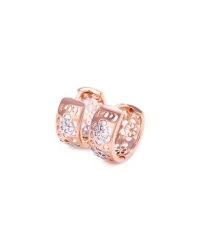 Forget about going to the jewelry store and spending thousands when you could have these ! 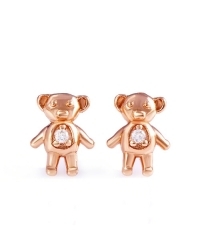 These rose gold plated teddy bear earrings featuring a central cubic zirconia stone are simply adorable. 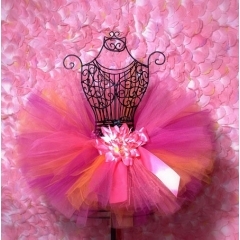 Cute and fun, they are as perfect for a young girl as they are for a bigger one that is young at heart. 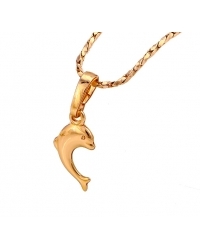 This adorable 18K gold plated dolphin pendant and necklace set is charming, realistic looking and totally whimsical.